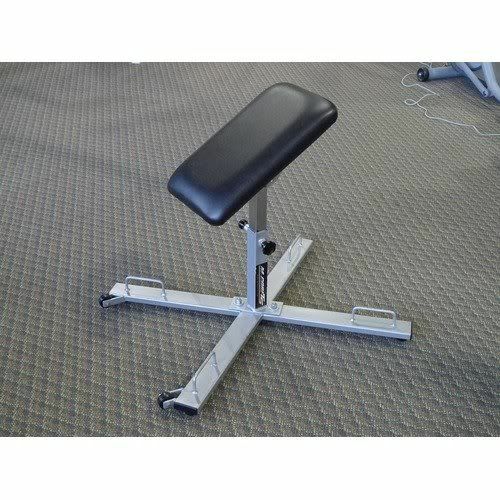 Calling the M-Core FTS an “adjustable bench” does not really do this piece justice. It is a multi-purpose training station that adjusts to fit the athlete, as opposed to the athlete having to conform to a bench’s settings. The unit adjusts both horizontally and vertically and can be placed at 90, 45, and 30 degrees. There is a standard version with height adjustments of 20” to 27”, and a tall version that adjusts 26” to 33”. By design, there is a 20” x 12” seat as opposed to a full-length bench, which requires more core activation to maintain the working position. There are four band attachments at the base, which is in an “X” design for increased stability and support. The small footprint makes it good for studios where space is at a premium. Tomorrow we’re off to Perform Better!